Wedding – the long-awaited, solemn and at the same time exciting event not only for the newlyweds but also for their relatives. Brother or sister of the bride is always very happy for her and want to make a good gift that will be enjoyable and memorable. 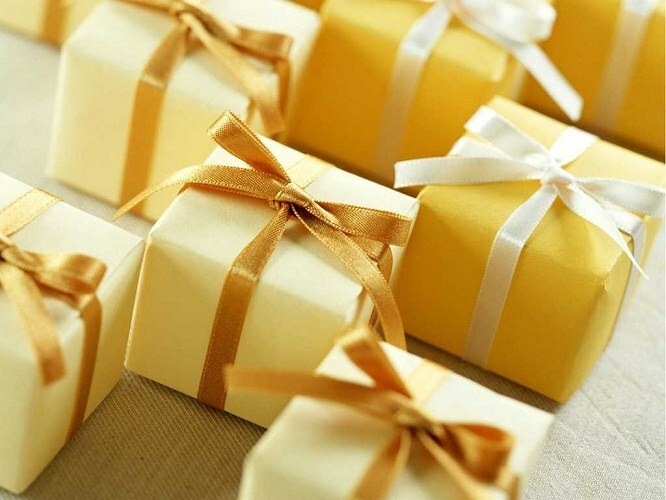 To start with what gift you would like to make: the one that will fit only your sister, or the one that is useful to the young family in General. If you stick to the first option, you can choose something that will remain with the bride for a long memory about you and the wedding. For example, buy her a nice embellishment: earrings, chain or bracelet. This gift is very good, if you know the tastes and preferences of the bride. If you are not very sure what to choose, can give her sister a certificate to purchase jewelry. If you and your sister have some kind of special for the two of you a moment in life or a tradition, give her something that will remind her, because soon she will become a member of a new family and distance themselves from you, and such a touching gift will always remind her about you and about her childhood. Organize a vacation for my sister after the holidays and give her a gift certificate to a Spa salon or a beauty salon. For the wedding most often presented with such gifts that will be useful to the life of a young family. If you have decided to buy for my sister something like this, pre-arrange with other guests, not to get two of the same gift. It is best to give some appliances, it is always useful on the farm, and the money to buy these quite expensive things sometimes may not be, especially in young families. If this does not suit you, buy the newlyweds a set of high-quality blankets made of natural wool or some thing for the home. If you have sufficient material resources or can chip in with other relatives and friends, buy a ticket to the newlyweds on a honeymoon – such a gift they'll remember for a lifetime and will be very grateful. Choose a romantic tour, these services are now available in some large agencies. A good gift can be a beautifully designed wedding album or a large frame for the first joint photo of the spouses. You can also give them pillows-pillows or a service that will host photos of couples. Remember, maybe your sister about the dream and tell you their innermost desires. If possible, try to implement it, because a wedding is a wonderful day, and in order to please the bride, it is worth to try. Don't forget to complement the gift with a nice card and a bouquet of flowers. If you want your flowers stand out from the crowd and also remember sister order your individually designed bouquet. It can be made in the shape of a heart, and some florists know how to create these sculptures of flowers. Figurine in the form of swans of pure white chrysanthemums, daisies, roses and lilies are perfect for wedding. If you are not able to order this fairly expensive gift or you can't find a specialist who will help you, in any flower shop, you can arrange a beautiful basket of flowers. This gift is not only memorable, but also useful, because the basis for such a bouquet can be used and in order to make their own beautiful flower arrangements.